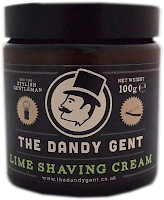 On June 4th 2015 I sent an email out to a company in the UK called The Dandy Gent. 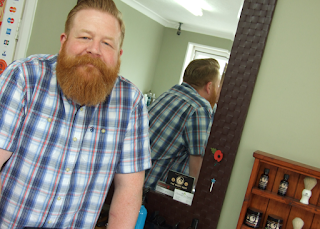 I went into some detail about Wet The Face and how I was looking to write an article about their shaving soap I was wondering if I could purchase samples. The next day I had my response. Thank you for your interest in our products. We have been getting a lot of interest from the USA from people interested in where they can get our products. 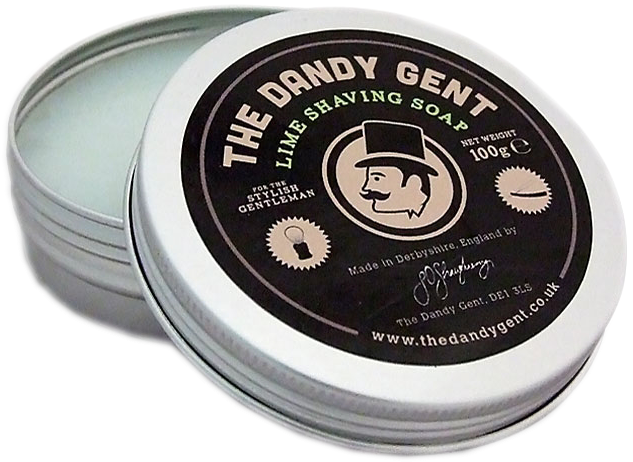 Unfortunately we cannot seem to get any good shipping prices, however I will try and get a shaving soap out to you. My Reply - Thank You Shane. If you need me to help you with shipping costs let me know. That was June 5th and late August I had a package arrive at my door from the UK. Inside was such a surprise. Not only did Shane send me what I was asking for but his kindness also included the following. 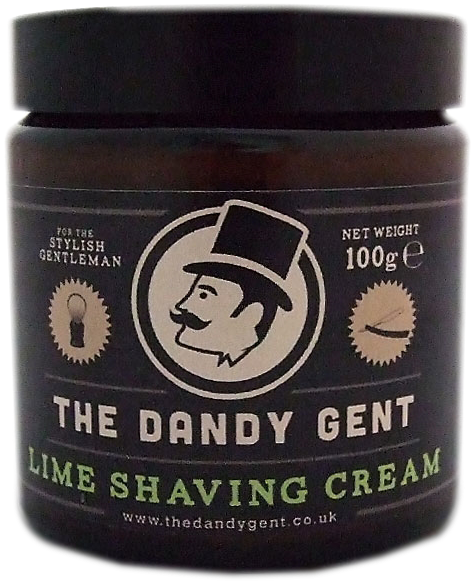 Lime Shaving Soap, Lime Shaving Cream, Shaving Oil, and a Solid Bar Beard Shampoo. What a great collection of shaving protects to test. Also in the box was a card from Sarah Monsoon the PR & Marketing Manager for The Dandy Gent. An additional thank you should be going out to Sarah as well. The parcel was lined with a hay like padding although mine for this review was a cardboard box the ones on the website are made of wood and look great. Speaking of the website it’s great looking site not confusing and easy to navigate I like the way they describe each item, to the point and a little humor. I also noticed that they now ship worldwide so no reason not to order if you live here in the U.S. The cream is in a dark brown glass jar with a screw on lid. Labels on the jar are waterproof so no problems with pealing or damaging. Since I had about two to three days of growth I applied a bit more than usual on my face and worked it in with my brush. The sent is very light but not like other lime scents I’ve used before it was very unique. The only disappointment would be it was so light I had a hard time detecting it when I was done working it into lather. Speaking of lather, the shaving cream did a real fine job of producing some of the best I’ve had. It was very rich and creamy with a slickness and glide that could rival the best of them. Since I used my fingers to apply the cream I had a problem holding my razor. I had to stop the shave wash and towel off my hands in order to gain a grip on my razor again. Now that’s slick! The shaving soap came in a nice tin with a screw on lid. The soap was extremely hard. So I knew this had to be bloomed. The first time I tried lathering it came out thin. So I tired again adding more time to the bloom. I got to the third try and 4mins was about the right amount of time to bloom for this soap. I also changed my brush to one with more backbone. My thinking was that i would be able to load more with a brush like that. I had to work harder than most other soaps to get this just right and even then it was thin for my taste but this is just my opinion. Now that the soap was under control I placed my attention to the shaving oil and opened the bottle, took a sniff and nothing. That was odd, but once I placed some in my hands and started working it in the scent exploded and what a fantastic scent. I thought this should be used in a shaving soap or an aftershave it was that good. Regardless of some of the issues the shave went extremely well. The shaving oil provided the slickness and glide that was needed to make the shave complete. I would recommend using both the shaving soap and oil together. So take a look at the video and let me know what you think.